One of the drawbacks of having a swimming pool is the cost to heat it. While a quality pool cover helps, many families are discouraged from heating their pool during cooler months due to high energy costs, leaving them without a pool for several months out of the year. This is where solar saves the day! The solar industry has allowed families to once again use their pools year round without the fear of wasting energy and high heating costs. The cost to purchase and install a solar heating system is competitive with gas and heat pump pool heaters, but the annual operating costs are drastically lower. 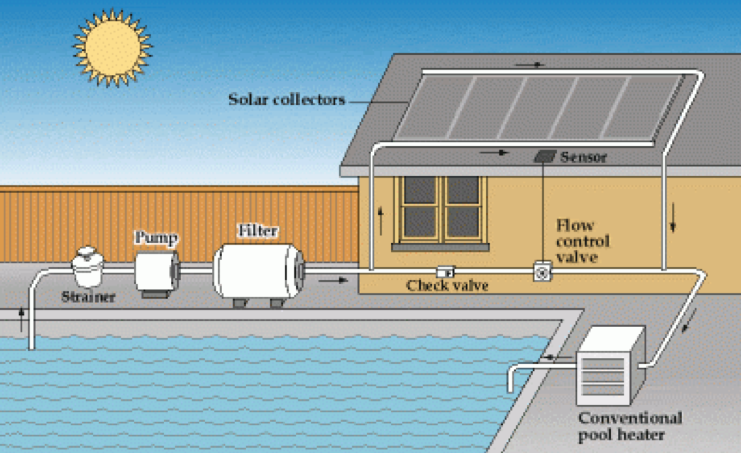 Harness the power of the sun to heat your pool year-round without the high costs! Please remember pool safety and always watch children around the pool. Copyright © 2019 by Pool Guard of LA. All rights reserved.